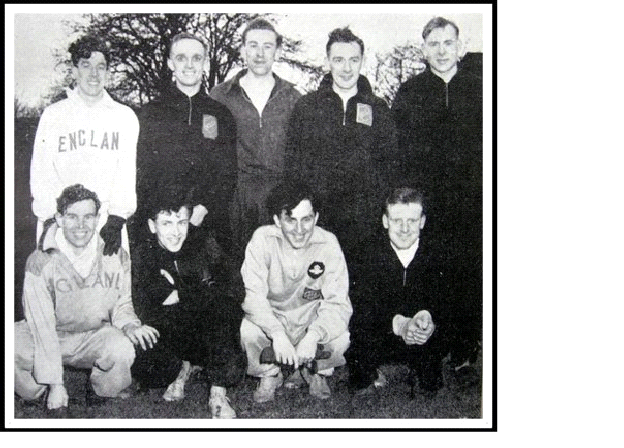 Ron Williams top left, next to him and second left is the great Fred Norris, kneeling second from the left is Geoff Saunders 1951 international cross country champion and third from the left kneeling is Jeff Eastham the county champion that year, all four from Bolton United Harriers. At this time the County was larger than it is at present including Manchester and Liverpool blessed by invaluable officials none better than Charles Rice MBE and team manager Tom O’Mahoney from Liverpool. Running parallel with the men was the Lancashire Women’s Athletic Association holding its own county cross country championships in those days before Christmas as opposed to the men in the first week of the New Year. Worldwide women’s endurance running took time to be acceptedwith the 1500m introduced into the Olympics as late as 1972 and in fact it was only in March 1966 that the inaugural Lancashire Schools cross country championships for girls took place in Wigan and a national schools championship for themtwo years later at Rochdale. A leading figure within Lancashire was national coach and team manager Vera Duerdin, who along with her husband Lawson,during the 1960s and 1970s made Bury & Radcliffe one of the leading women’s cross country teams in the UK led by junior national champions Phyllis Lowis and Julie Rainford. 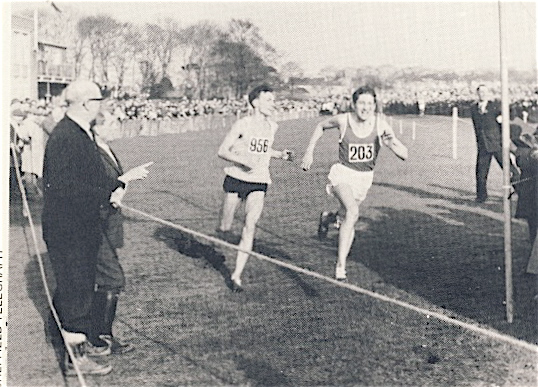 In 1967, with Vera’s endorsement as national secretary, the women’s national was held at Witton Park won by four time national cross country champion Pam Davies from future London marathon winner Joyce Smith. A year later the Women’s International Cross Country Championship was also held there with American Doris Brown winning, see photo to the left below. Her team manager was Bob Seaman who caught up with his old rival, current Lancashire President Stan Taylor, to recall the day in 1962 at White City when they both went under four minutes. In 2010, Vera, a former President of the English Cross Country Association, was recognised for her service to the sport by England Athletics and also by Paula Radcliffe in her autobiography, who herself won the last women’s only national cross country title in 1994 at Witton Park. The photo above shows Paula celebrating her win after her race. Thank goodness for all those early county pioneers who helped mould today’s championship where we cheer on men and women, boys and girls and celebrate their efforts all in one day. A brief history of Lancashire Cross Country – Part 1 - the early days. Although the first athletic governing body in the world, the Northern Counties Athletic Association, was founded in 1879 with the AAA formed the following year it was not until the mid 1920s that County Associations began to emerge in competition against each other. However from 1910 there had been local cross country championships held in our area in the form of the West and the East Lancashire Championships. George Wallach, who lived in Darwen, ran for Bolton and Scotland and competed in the 1912 Olympics, winning the East Lancashire title five times. Lancashire, who affiliated to the Counties Athletic Union in 1937, really came into its own just after the Second World War when it started to enter teams in the Inter Counties Cross Country Championships dominated previously by the Southern and Midland Counties. 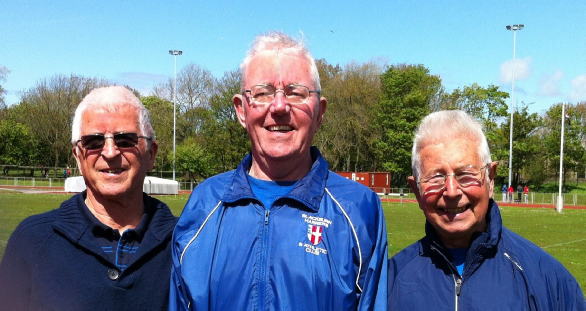 In the days when Manchester and Merseyside were still part of the County, Lancashire made its mark immediately winning the Inter Counties Senior Men’s title for the first time it entered in 1949. From that date onwards, with top athletes such as Fred Norris, Gerry North, Mike Turner, Ron Hill and Mike Freary, they dominated the team title through to the 1970s. The quality of the County then was such that it was said in the North in boastful terms that the first six senior men in any Lancashire Championship race could always have made up the English international team to compete in the World Championships in March! This proud tradition continues up to the present day with many a budding international learning his or her trade at the Lancashire Championships.